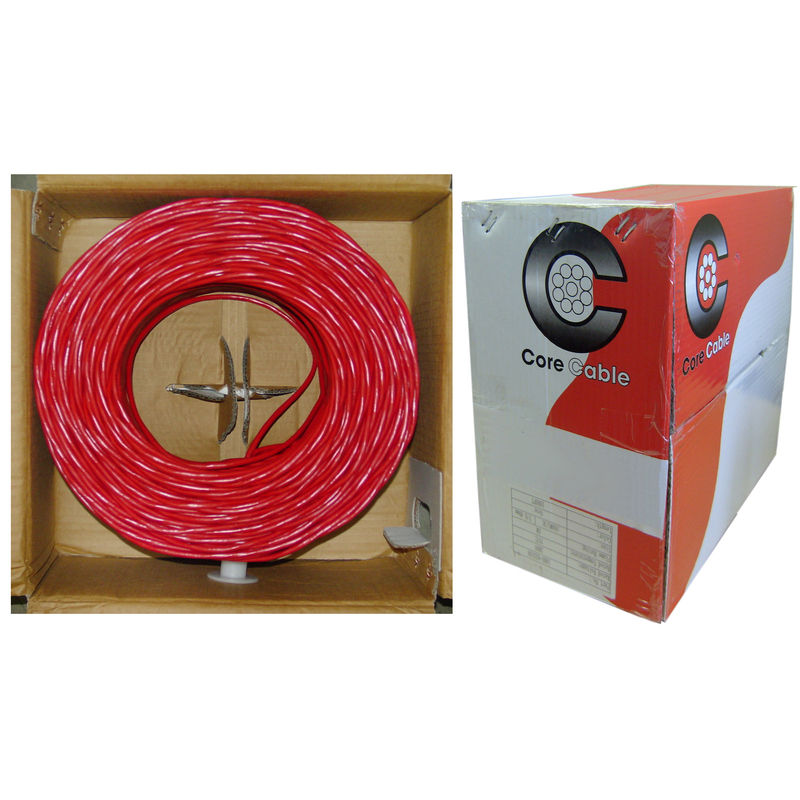 This Pullbox contains 1000 feet of shielded Plenum-rated cable. Plenum cable is jacketed with a fire-retardant plastic jacket of either a low-smoke polyvinyl chloride (PVC) or a fluoridated ethylene polymer (FEP). Local building codes may require all cables run inside the walls or ceiling be Plenum-rated. This comes in the color red.